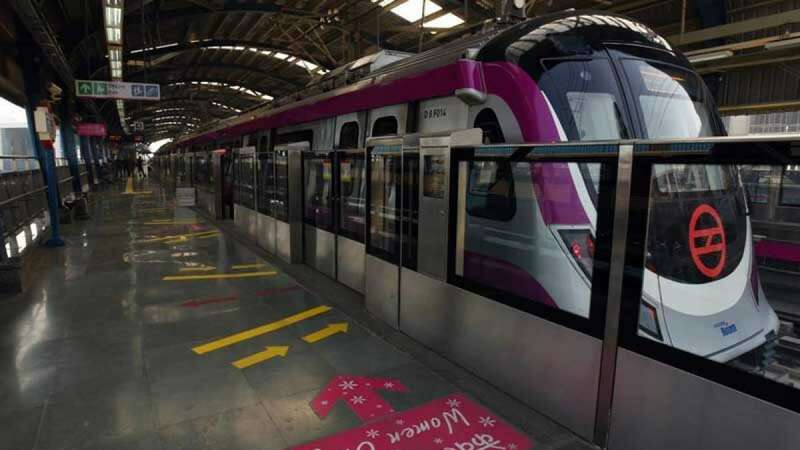 New Delhi : On Christmas Day, Prime Minister Narendra Modi will be inaugurating the new Magenta line Delhi Metro, that had made headlines over brake failure crash inside the depot. With PM Modi, Uttar Pradesh Chief Minister Yogi Adityanath will also be present during the inauguration; while Delhi Chief Minister Arvind Kejriwal has not been invited for the launch. The new Magenta Line Delhi Metro will connect Botanical Garden in Noida to Kalka Ji Mandir in South Delhi. Prime Minister Narendra Modi is expected to address a public gathering after taking a ride in the new metro line. With the addition of new metro route, travel time between Delhi and Noida is expected to cut by approximately 45 minutes. The coaches will reportedly have LED display, power charging capacity and colourful seats, while the stations will portray themes of nature, yoga, and cultural landmarks. This will be the third time when Prime Minister Narendra Modi will inaugurate a metro service in the country.